This Picture Frame is Made of Solid Wood and Features a Beautiful Walnut Finish! 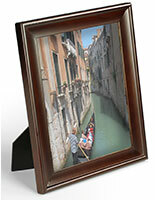 This Picture Frame can Display 5" x 7" Photographs! These Cheap Photo Frames are One of Our Most Popular Models! Picture Frame Made of Wood in Walnut Finish, 5"x 7"
Changing out photos in this picture frame is easy; merely turn the tabs on the backing, lift out its back support, and swap out your photos. 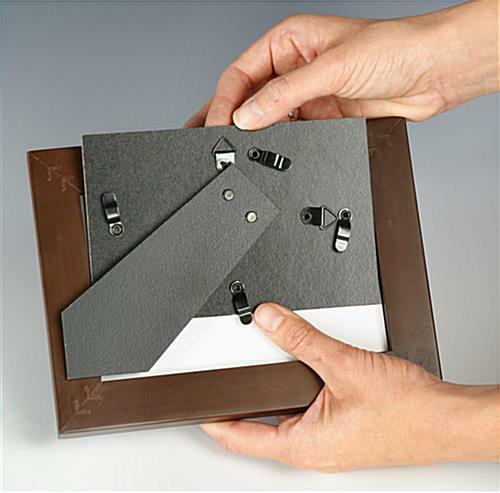 The backing of this picture frame has metal hanging tabs on both sides enabling you to mount the frame portrait or landscape. 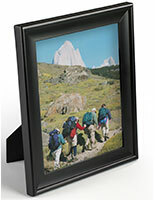 Buy a picture frame now, and start showcasing your latest vacation memories to your co-workers. 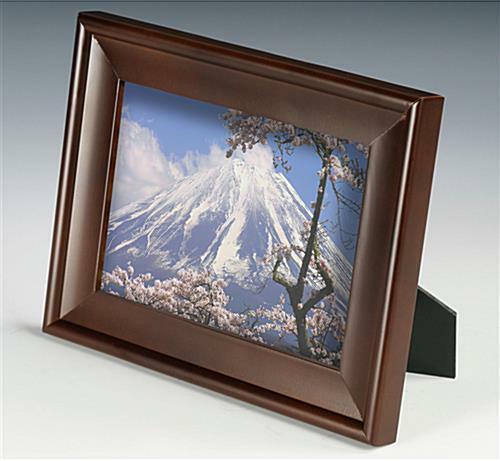 This picture frame has a rich walnut finish that is appropriate for choice of your home or office. The photo holder, picture frame incorporates a two-method easel, allowing you to easily display horizontal or vertical portraits. Additionally, we offer this picture frame in numerous other sizes.